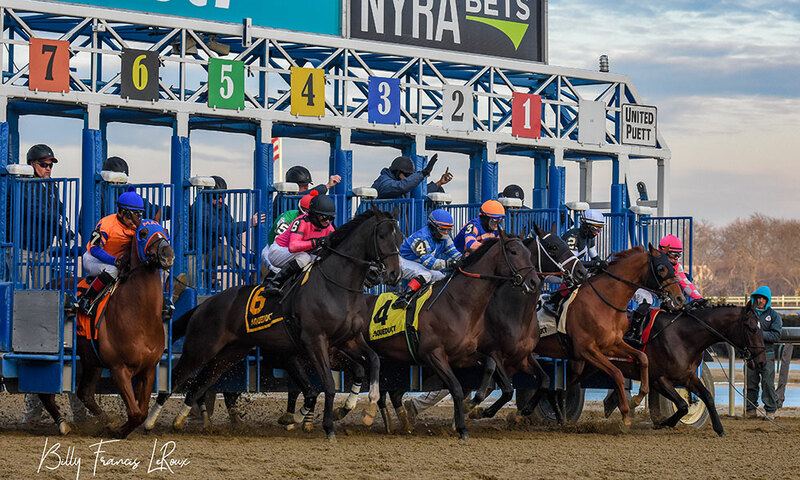 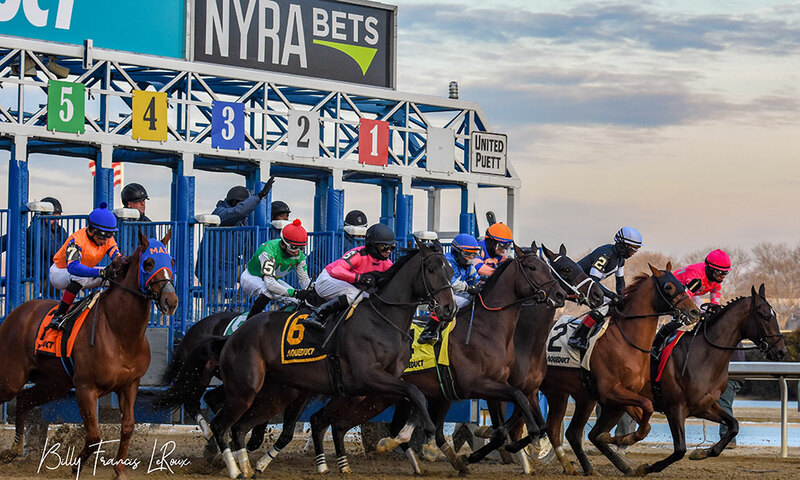 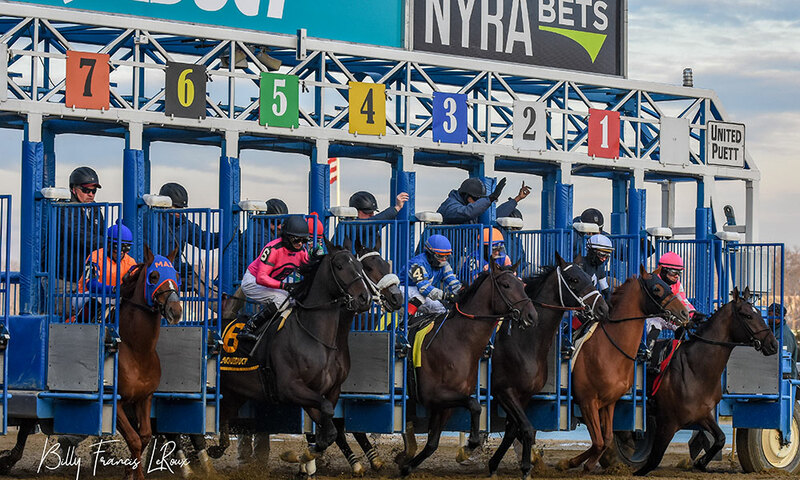 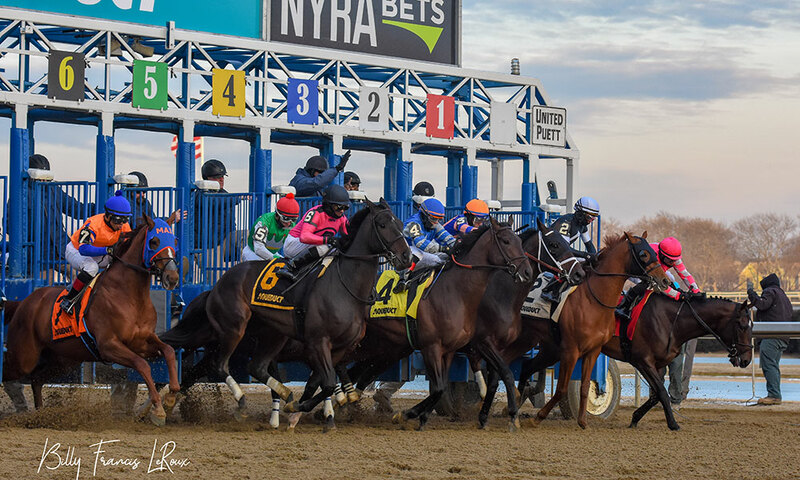 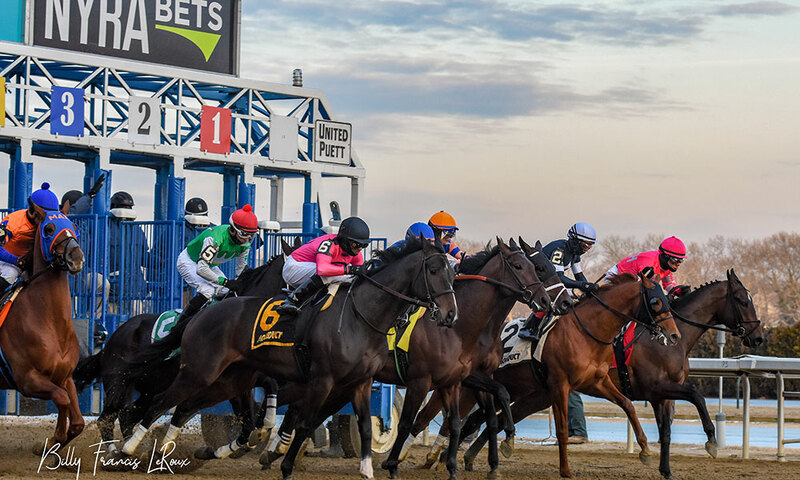 'saratoga living' Photographer Billy Francis LeRoux was onsite at the Queens racetrack this weekend to capture the big race. 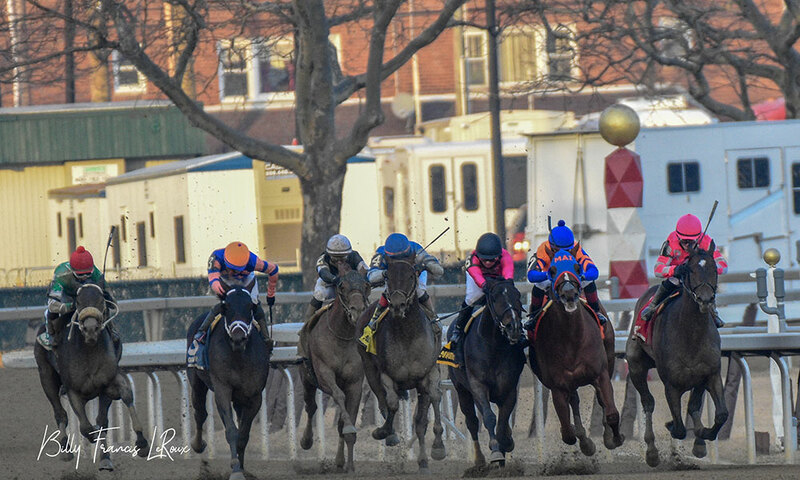 Tax day came a little early this year. 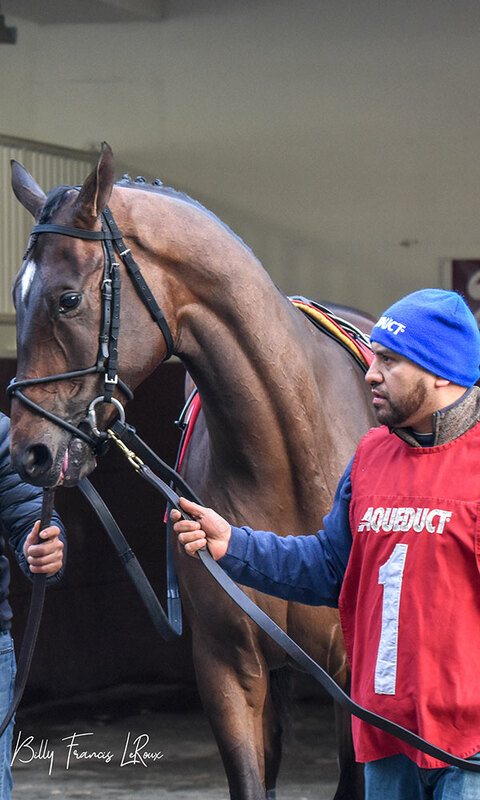 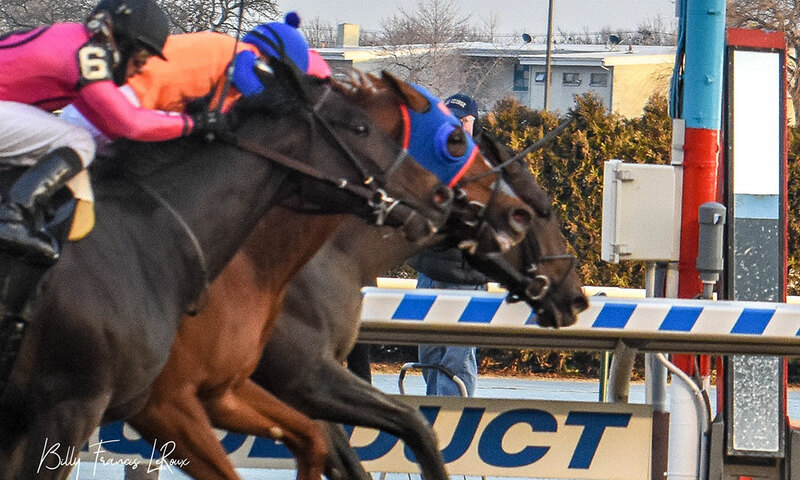 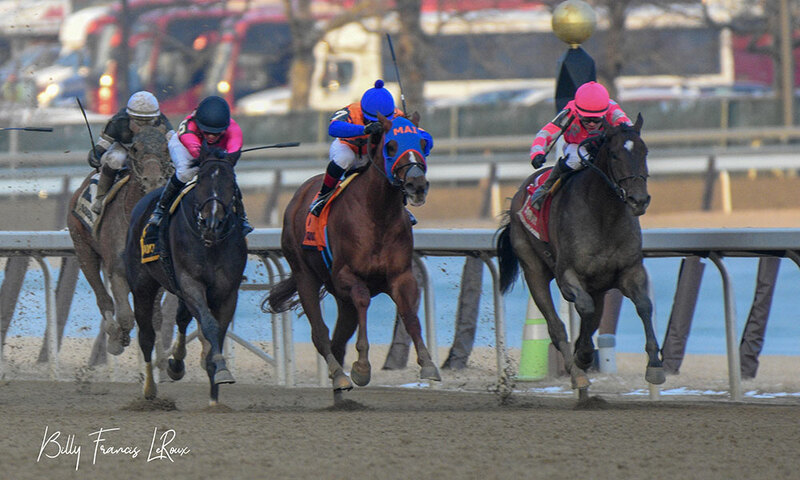 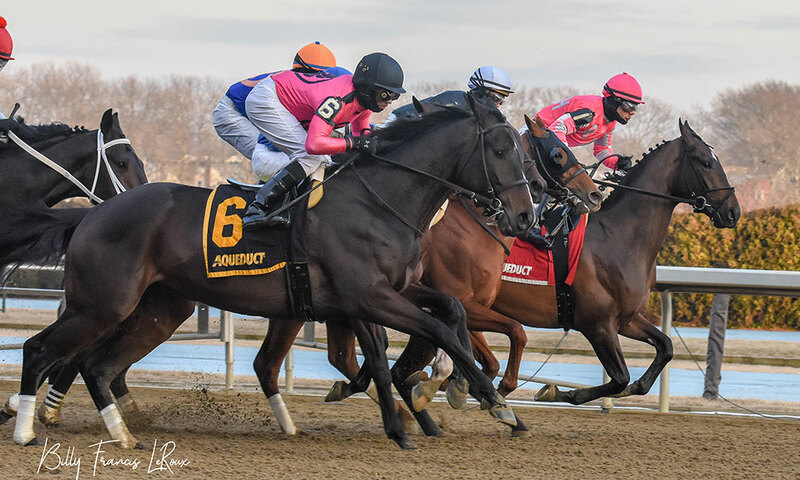 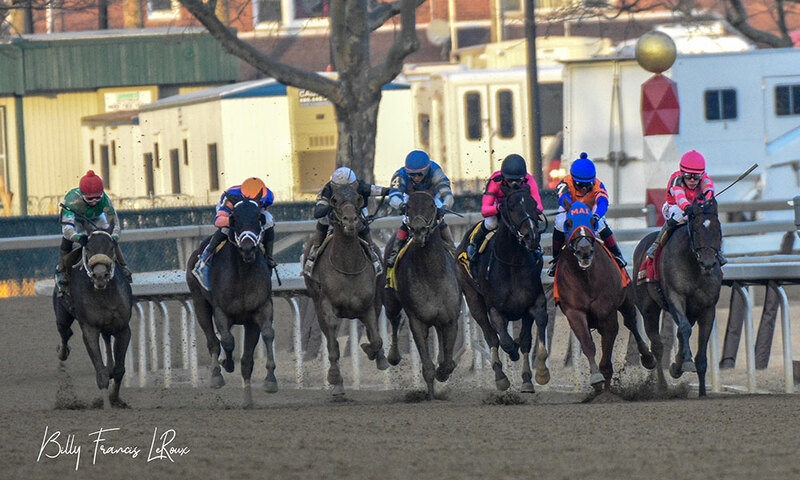 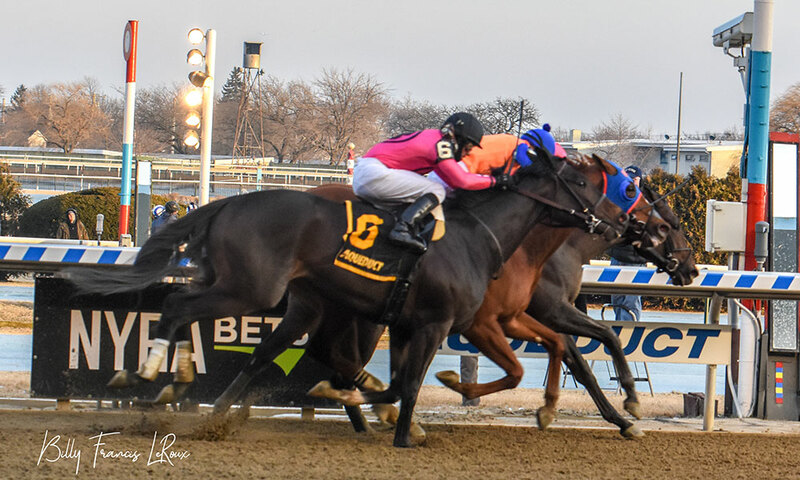 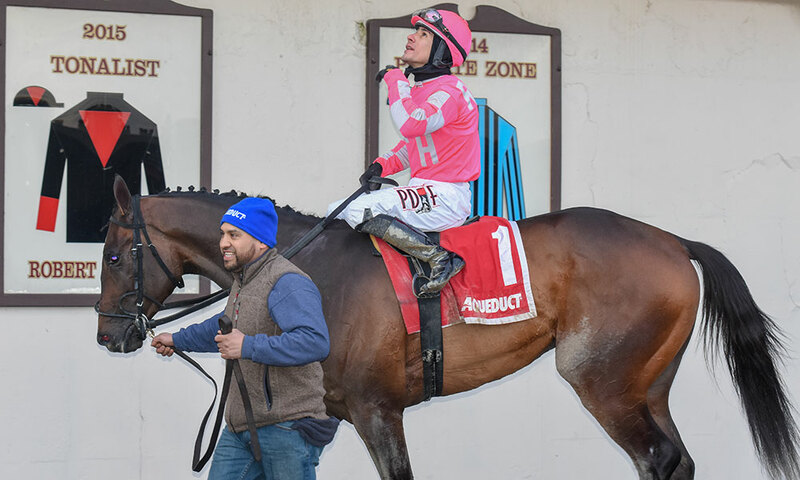 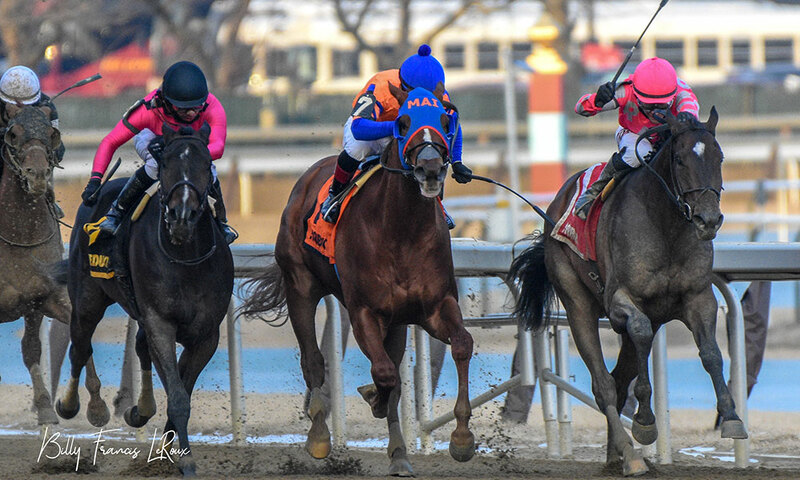 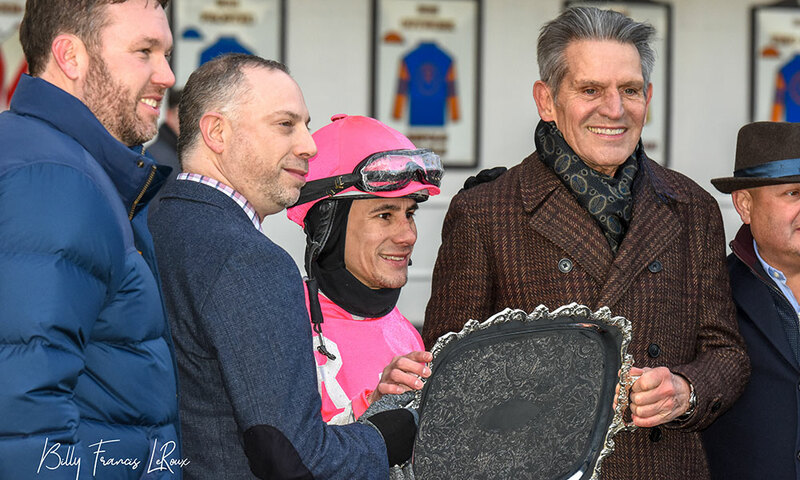 At Saturday’s Grade 3, $250,000 Withers Stakes at Aqueduct Racetrack, which offered qualifying points for May 4’s Kentucky Derby, Tax won by a head over Not That Brady, with Our Braintrust in at third. 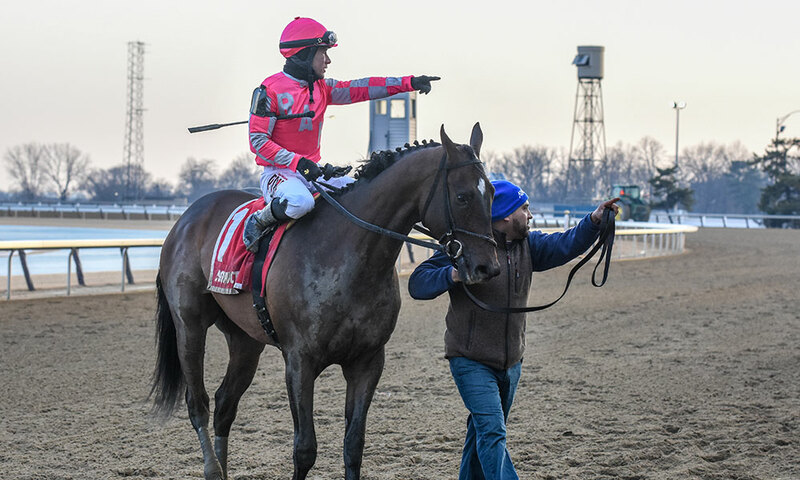 Tax’s trainer Danny Gargan told DRF that his horse “ran such a big number, there’s a big chance I just wait for the Wood [Memorial]. 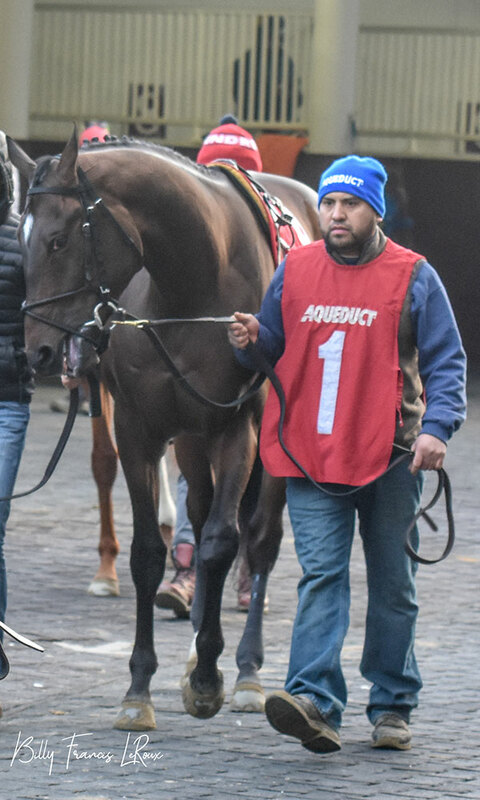 He ran good off the [nine] weeks. 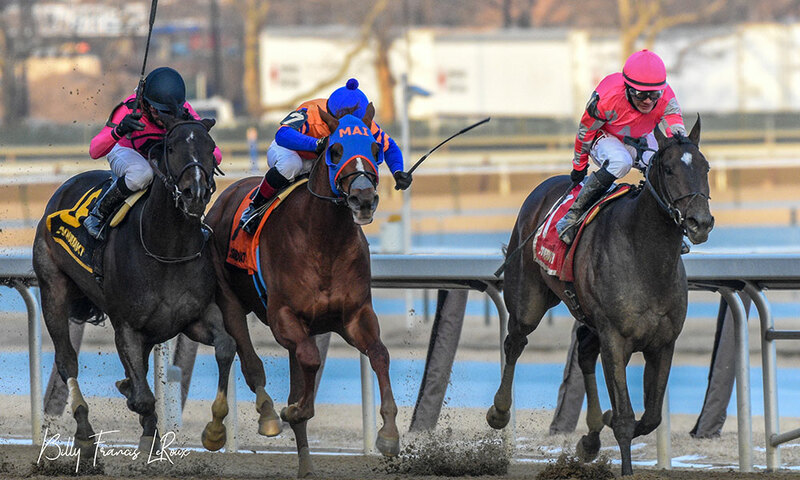 He likes the track, obviously.” The connections of all of the top three finishers, including the fourth, Sir Winston, told DRF that the horses would be pointed to another graded stakes race with Derby qualifying points. 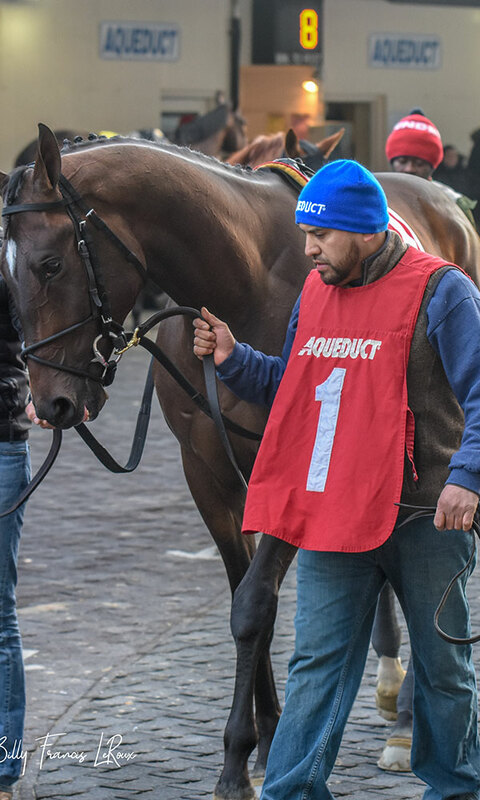 As luck would have it, saratoga living had a “man on the inside” at Aqueduct: our photographer Billy Francis LeRoux. 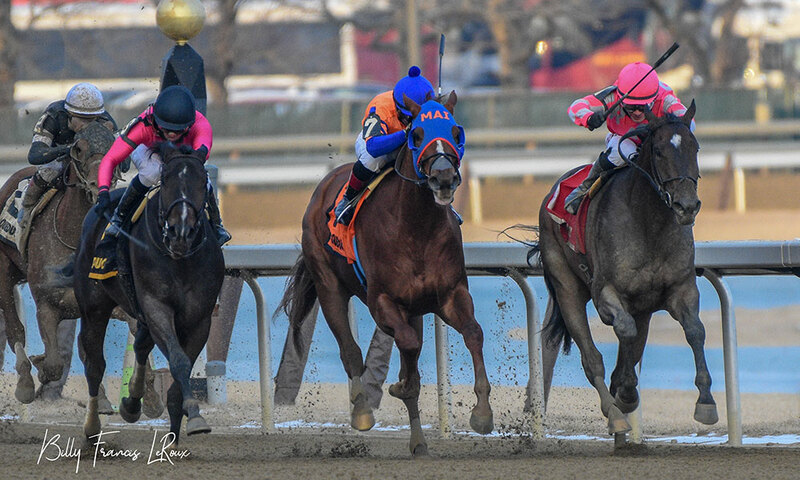 Billy dialed in these photos over the weekend, saying that he focused mostly on the race’s winner Tax, capturing him pre race in the walking ring, at the start of the race at the gate—where he stumbled badly and wet to his knees, nearly unseating jockey Junior Alvarado—and beyond. 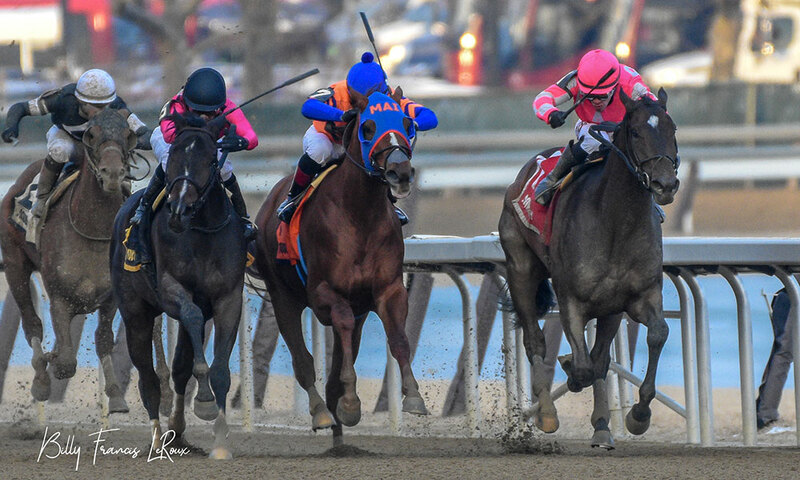 Check out the amazing one-two-three finish!